Empire Mini Storage is easily accessible and minutes from all residents of Middletown. 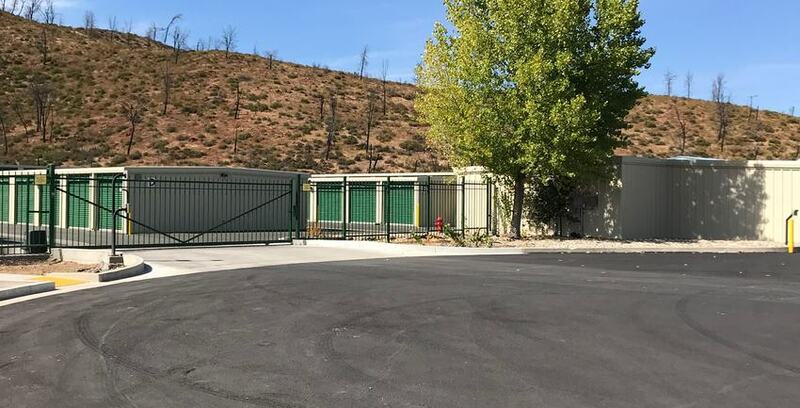 Empire Mini Storage is located at 18150 Empire Lane in Middletown, California 95461. We’re just south of Hidden Valley Lake Golf Course, minutes from CA-29 and CA-175. Our proximity to Crazy Creek Glider Port makes us the perfect solution for residents of Hidden Valley Lake, Cobb, Middletown, and Lower Lake. If you would like to speak to a member of our professional storage team, feel free to call us at (707) 587-4965 from 9:00AM to 6:00PM Monday through Saturday. We are closed on Sundays. Empire Mini Storage is open Monday through Saturday from 9:00 am to 6:00 pm and closed Sundays. We also offer extended facility access hours every day from 6:00 am to 9:00 pm. We sure do! Our on-site manager is responsible for managing the day-to-day business, overseeing the property and monitoring the security. We run specials and promotions for certain unit sizes throughout the year including military and senior citizen discounts. If you’re interested in any of our current specials or promotional unit pricing they should be listed on this website or you can call our office today. Use our online size guide to determine the properly sized storage unit to meet your needs. Need some advice on the best way to pack your fragile items, priceless family keepsakes, clothing, dishes, or just about anything else? Packing for Self-Storage can be a daunting task, and you certainly want to be informed on the best way to pack your belongings to avoid damages that can happen during the moving and storage process. Our Self-Storage tips can help. Why not try our online storage size guide or browse our storage tips? From there, please feel free to call us or use our online form and we'll get back to you as soon as possible. Thank you for considering Empire Mini Storage.